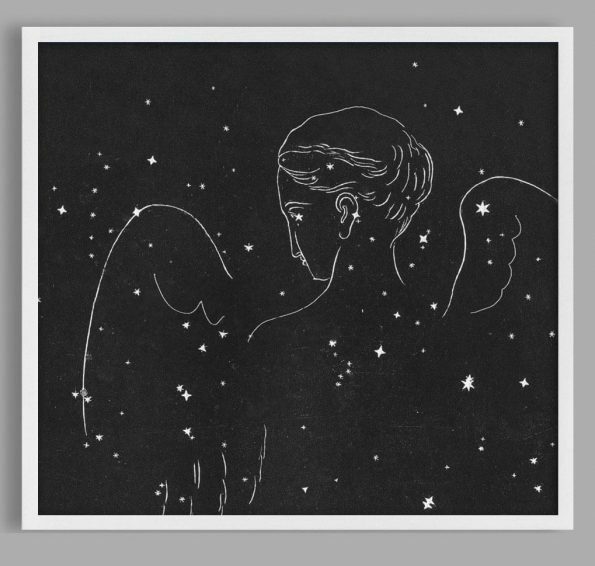 A beautiful Constellation Map based on an antique 19th Century lithograph depicting a winged angel among the stars in an impressionistic style. A really unique piece of Celestial art for romantics. Also great for the nursery. **Available in Black and Cream or Blue and Cream in multiple sizes.